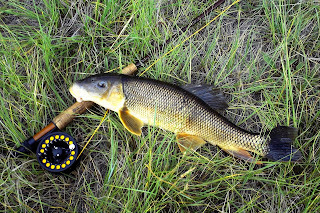 Fly Fishing in America with FlyIguana: Dream Stream or bust! My grandson and I had the chance to go to the 'dream stream' in Colorado- the South Platte River between Spinney Mountain Reservoir and Eleven Mile Reservoir. It was a great day...caught several nice cutthroats, and hooked up with one so big that after he rolled up and showed me his belly, he broke off midway on a 5x leader! 20 plus... The secret is a pink San Juan Worm and a Prince Nymph. And...I caught a freaking CARP on a prince nymph. 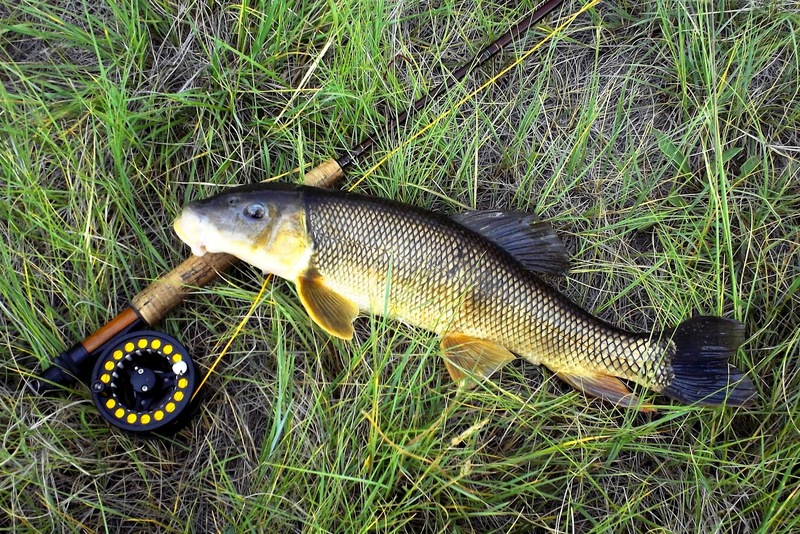 A carp. 4-5 lbs. fun to catch. I have been wanting to go carping on the fly, now I have.